When people in Southern Oregon have medical needs, whether those needs involve health maintenance, emergency treatment, or pertain to disease or injury, medical professionals are prepared to step in. 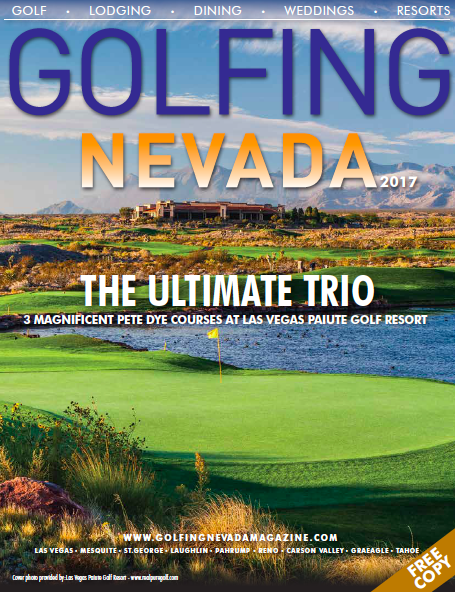 Despite the region’s relative isolation, the medical community stands at the forefront of technology and up-to-date methods in many arenas, often receiving national recognition. Providence Medford Medical Center recently adopted a new vision—creating healthier communities, together—dovetailing with their goal of healthy people all the time. “Our goal is to see fewer people at the hospital and more people at the clinics getting preventative care,” says Hillary Brown, public relations coordinator. One path to healthy communities is through its youth. Providence partners with the Rogue Valley Timbers, one of the largest youth soccer clubs in Oregon. Getting kids onboard with preventative health has a grassroots effect, kids telling parents what they learned. The partnership includes a relationship with the Portland Timbers. Portland team members encourage the young players to be active and to protect themselves in sports in order to prevent injuries and reap the lifelong benefit of such precautions. Kids listen to professional athletes. Providence is providing an athletic trainer to Crater High School. She attends all events, often observing injuries no one else sees. While a young athlete or coach might think its okay to play through, she could have another opinion. Providence took over Crater’s existing program, allowing school funds to go elsewhere. They plan to expand the program to other schools in the future. Diet is a major determinate of a person’s overall health. Providence created a Fresh Rewards program through the Medford farmers market. Individuals holding Oregon Trail cards can participate in a dollar-for-dollar money match for fresh produce. Sponsorship of the Wild Rogue Relay and the Rogue Run offers another way to promote health, further emphasizing Providence’s goal of fewer patients in a healthier community. People once followed natural body clocks, or circadian rhythms, of waking hours and sleep. Then Thomas Edison invented the light bulb, and we messed up those patterns. Poor diet, too little exercise and 24/7 access to technology adds to the problem. Too many people regard sleep as an option, not a necessity, often resulting in sleep disorders, according to Mitch Klaich, sleep information liaison for the Asante Sleep Center. The center has eight beds and a staff of 15 technologists. Sleeping patients are monitored by audio and visual devises as well as software that tracks breathing, heart rhythms, oxygen levels and brain activity. Day staff scores recorded data, which is then interpreted by sleep physicians. A common disorder treated at the Center is obstructive sleep apnea (OSA), a breathing blockage. OSA, one cause of fragmented sleep, affects some 22 million Americans. Long-term sleep deprivation may result in health problems including hypertension, chronic heart failure, and diabetes. CPAP (Continuous Positive Air Pressure), a pneumatic splint that keeps the upper airways from collapsing, is a common treatment used by the Center to treat OSA. 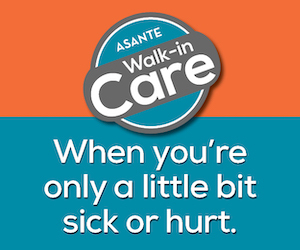 The Asante Sleep Center sees patients with other sleep-related problems, including insomnia. Michael Schwartz, the Center’s insomnia educator, helps his patients through behavioral sleep strategies and sleep sensors worn on the wrist. Ideally, dental care should start early. Dr. Erik Rollem DDS sees patients as young as three years old for an exam, cleaning and fluoride treatment. The goal is for little ones to establish proper dental care as a regular part of life and to help parents learn appropriate home care for their children. He also sees patients as old as 99, and everyone in between. The office offers routine, full-service dental care—exams, cleanings, x-rays, fillings and other preventative and restorative measures as needed. They also focus on jaw-related issues. Some sleep apnea patients can’t tolerate CPAP machines, so Dr. Rollem offers appliances such as a TAP (Thornton Adjustable Positioner), which helps move the jaw forward and open airways. Jaw clenching and bruxism (clenching with side-to-side movement) are two causes of migraines. A night guard can be fitted to prevent the patient from clenching and muscles from firing all night long. 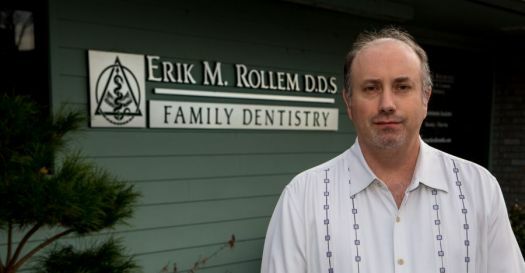 Dr. Rollem knows that not everyone has dental insurance nor can afford it. He also knows that proper dental care is essential to teeth, the mouth and overall health. Putting those facts together inspired him to establish a Smile Care Plan, which allows two cleanings, three exams, all necessary x-rays and 20 percent off other treatments, all for $247 a year for adults and $199 for children 12 and under. This plan, along with proper, routine care, enables patients to chew and properly digest their food, and flash an attractive smile. Women’s health needs are being addressed more than ever before, with targeted care from teens through the post-menopausal years. 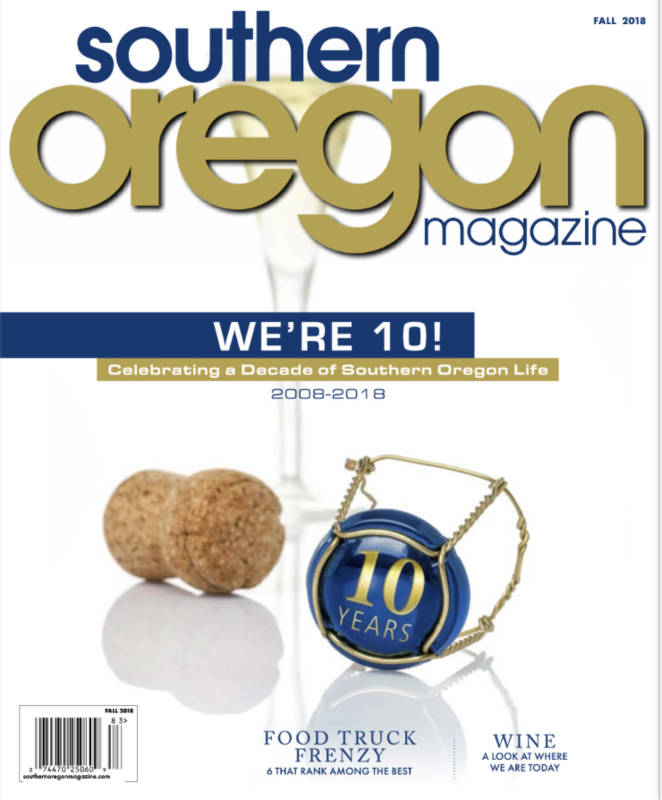 “We are busy meeting the needs of all women in our community,” says Tamara Medley, M.D, of the Women’s Health Center of Southern Oregon (WHC). In addition to prenatal care and delivering over 95 percent of the babies in Josephine County, WHC provides many other services, all under one roof. Menopausal treatment and hormone replacement therapy has advanced, and now includes plant-based hormones and Selective Estrogen Reception Modulators that target specific tissue types. Women dealing with depression find help through NP Sue Moravec’s menopause support group, an onsite mental health professional, or a behavioral health coach. In the outpatient procedure area, providers perform biopsies and minor skin procedures, remove polyps and perform sterilization. Women with dehydration and other pregnancy related concerns receive care in an obstetrics triage area, thus avoiding hospital wait time and costs. As women age, incontinence often becomes a concern. They once tried to cope alone, silent and ashamed. WHC’s Dr. Thomas Eagan has a special interest in treatments for incontinence and bladder issues that alleviate problems and grant peace of mind. Richard Battey, M.D., and Melanie Turner, FNP, are certified for BRCA testing for women with genetic cancer risks. If a woman is high risk for breast cancer and tests positive, her risk rises from 12 percent of the general population to 60-65 percent. With ovarian cancer, the risk increases from 1.4 percent to 39 percent. By offering this testing, WHC helps a woman and her family make informed decisions about her options. A woman is a unique being, and Women’s Health Center of Southern Oregon addresses that uniqueness through comprehensive care to all women. 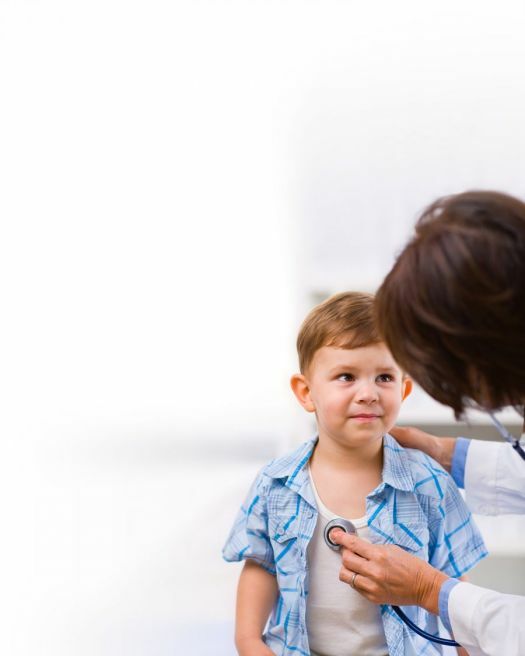 AllCare Coordinated Care Organization (CCO) was founded by independent physicians to help provide affordable, high-quality health care to residents of Josephine, Jackson and Curry Counties. Oregon’s newly formed CCOs manage medical, dental and mental health under one roof. Cynthia Ackerman, RN, vice president of Community Engagement is passionate about the work AllCare CCO accomplishes in the community. She explains that AllCare CCO offers Living Well programs, sponsors Meals on Wheels and partners with our local food banks. AllCare’s tobacco cessation programs result in better health, as well as the economic benefit for the smoker. AllCare CCO sponsors a behavioral coach at Women’s Health Center of Southern Oregon who assesses every woman who comes through the doors, looking for high-risk behaviors and assisting women in finding appropriate care. Some issues become a barricade to moving forward. For example, people entering the Gospel Rescue Mission may have lost their identification and documentation necessary to apply for various programs. The CCO comes alongside the individual and helps them re-establish their identity, a difficult task in the best of circumstances. Ackerman is proud of what they are able to do with flexible spending dollars, monies set aside to help in ways that don’t involve traditional health services, yet improve someone’s health. One woman needed proper footwear to participate in an exercise class. Flexible spending dollars purchased a pair of athletic shoes for her. These monies also assist patients who might need a ride to non-emergent health appointments. AllCare CCO is governed by a 21-member Board of Directors comprised of representatives from the medical field, dentistry, mental health and the broader community. The overarching goal of the CCO is to improve the health of our communities. Two old photographs tell a story of early air ambulance days. One patient arrives in a hearse, the original ambulance. Is the hatless man the driver? A boy’s gurney is partly handled by a mechanic wearing grease-stained coveralls. Perhaps someone hollered, “Hey Joe, we need a hand.” A nurse in starched white cap and uniform stands by, while men in suits and fedoras load a patient into a Mercy Flights plane that looks more like a cargo plane than an air ambulance. One photo shows an unwieldy ventilator. Much has changed. A modern ventilator measures approximately 12x6 inches and weighs under ten pounds. Hearses carry the deceased, while specially designed ground and air ambulances serve as mini-intensive care units during transport. And, gone are the starched uniforms and fedoras. In 1949, local air traffic controller George Milligan saw people from our community die from lack of close-by advanced medical assistance. From that need, Mercy Flights was born, the first civil air ambulance service in the United States. After the first year, the non-profit company needed a regular source of finances and created a prepaid program. The 2,000 initial members paid $2 a year per family. 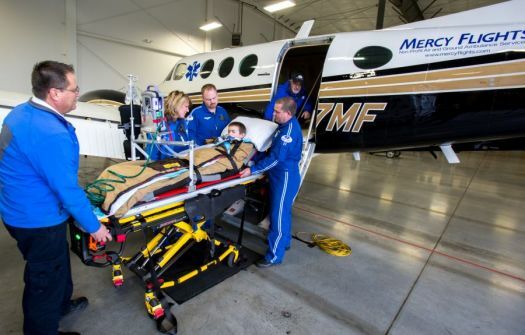 Today, Mercy Flights uses one of two specially-equipped fixed-wing aircraft and a helicopter*. All three have an onboard specially-trained flight nurse and paramedic. Amid the rows of medical supplies in the ground ambulances, stuffed animals wait to comfort traumatized children. Night vision goggles allow after-dark airlifts. Mercy Flights has a high tech dispatch center, a warehouse of medical supplies and onsite training facilities. Membership specialist Deb Holden and Flight Supervisor Rodney Blake show off their high-performance facility like proud parents, and rightly so. Mr. Milligan would be pleased to see what his vision looks like today.